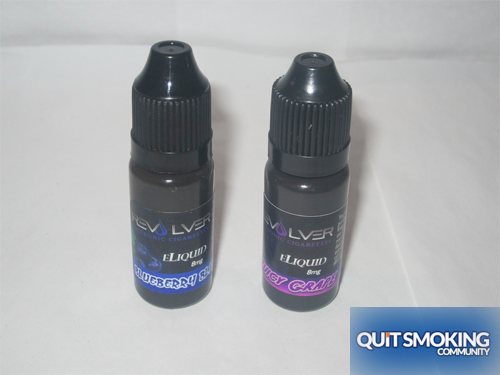 Revolver has great selection of electronic cigarettes. Whether you are new to vaping or have been around the block, Revolver has something suitable for you. They have both the traditional e-cigarettes that look like cigarettes and mroe advanced electronic cigarettes like the eGo and eVIC. Revolver has four starter kits which range from beginner to advanced. The Revolver G2 Portable e-Cigarette is one of Revolver’s “cig-alike” models. It is about the same size as a traditional cigarette. The G2 starter kit contains one portable charging case, two batteries, five cartomizers, one USB AC adapter, and one USB cable. You can choose the flavor and nicotine strength of the cartomizers. Not many e-cigarette starter kits for around this price include a portable charging case. That really makes this a sweet deal. 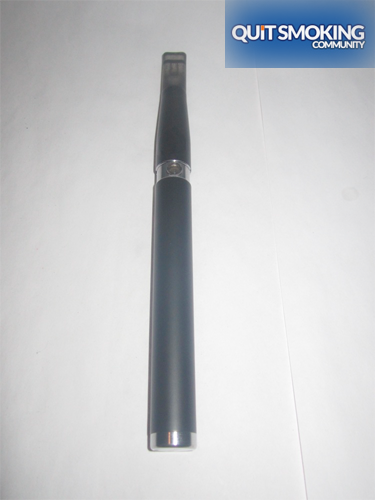 The Talon is an advanced electronic cigarette. This style e-cigarette packs more power, creates more vapor, and lasts longer than the smaller “cig-alike” batteries such as the G2. The Talon Starter Kit comes with: one 650 mAh manual USB pass-through battery, one 1000 mAh manual USB pass-through battery, two tank atomizers, five blank tank cartridges, one USB battery charger, one AC adapter, one USB cable, one Talon carrying lanyard, two tank cartridge covers, two silicon cartridge caps, and one 10ml bottle of premium USA made e-liquid. You choose the flavor and nicotine strength of the e-liquid, as well as the color of your batteries. The Magnum Volt is for more experienced vapers. You can adjust the voltage that your battery outputs to get that perfect hit. This is excellent for someone wanting to take their electronic cigarette to the next level and embrace the vaping lifestyle. That starter kit comes with: one Magnum Volt device, two Magnum batteries, one Magnum Tank XL, one 10ml premium USA made e-liquid, one 5ml classic e-liquid, one Magnum battery charger, and one carrying case. You choose the color of your tank and two flavors of e-liquid. The Revolver eVIC (Vapor Intelligent Cigarette) has an operating system that keeps track of the number of puffs you take. You can keep track of your vaping habit by plugging the eVIC into a computer. You can also set a limit to the number of puffs that you take per vaping session. It is handy when trying to cut down. This isn’t a complete starter kit. It contains the eVIC equipment and software, not a tank or e-liquid. But if you’ve advanced to the point where you are ready for an e-cigarette like this, then you should already have at least one tank and some e-liquid. The eVIC Basic Kit includes: one eVIC device, one 2600mAh Magnum battery, one USB cable, and one wall adapter. The eVIC itself comes with a one year warranty. The ION Classic e-Cigarette was Revolver’s premiere product, and resembles the G2 line. It doesn’t seem like they are promoting this product much. I couldn’t even find a proper starter kit for it. The G2 starter kit would be a much better investment, in my opinion. 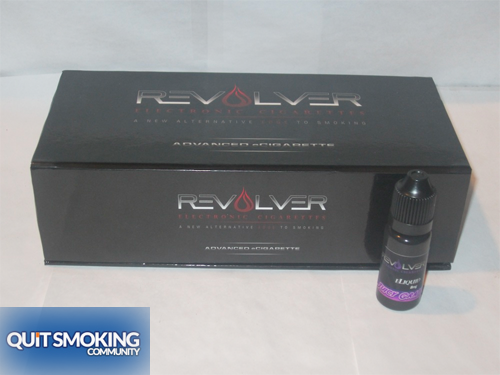 Revolver’s Disposable electronic cigarettes come available in either Tobacco or Menthol. They will give you around 500 puffs before you just toss them. It would also be cheaper in the long run. That being said, it doesn’t hurt to keep one or two disposables in your car, just in case the battery dies on your regular e-Cig while you’re on the go. I don’t often vape disposables, but I’ll share my thoughts if I ever try these. Revolver’s large selection of e-cigarette products appeals to both vaping newbies and vaping pros. Revolver has four main kits and more than a dozen quality e-Liquid flavors. They have various tanks and accessories as well. Revolver’s prices are pretty competitive. The advanced starter kits cost more, but equipment is worth it. Their e-Liquid goes for $10.99 per 10mL bottle. The Talon starter kit comes in a neat magnetically sealed box. The design of the e-cigarettes themselves is pretty sleek. Once you upgrade to advanced electronic cigarettes like the Talon, you will notice right away that it produces so much more vapor. You’ll never want to go back to the “cig-alike” batteries again after this. A larger battery means a longer battery life. The Talon starter kit includes a 650 mAh battery and a 1000 mAh battery which is larger. The larger battery lasts longer, but the other one also lasts a long time. They will last you at least all day. I usually use the 1000 mAh battery. Then I’ll use the 650 mAh battery while the 1000 mAh battery is recharging. These batteries can also act as USB pass-throughs. Unscrew the cap off the tip to plug in the USB pass-through cable. Then plug it into the USB port on your computer and you can vape without wasting the battery. If you spend a lot of time on your computer like I do, then this will be worth it. The Talon Tank System uses e-Liquid. Revolver has over a dozen premium USA made e-liquid flavors. I have tried Juicy Grape and Blueberry Blitz. Both of those flavors are fantastic. They are sweet, fruity, and taste like their name. Revolver has a large variety of products that range from beginner to expert. Their Talon is a great product and their e-liquid flavors are delicious. E Hookah has a very limited line of products, but some decent starter kits that perform great. But are they good enough to justify the limited range? Vapage is known for overhauling their products to create new ones. Learn about their best e-cigs by reading our Vapage E-Cigs Review here.